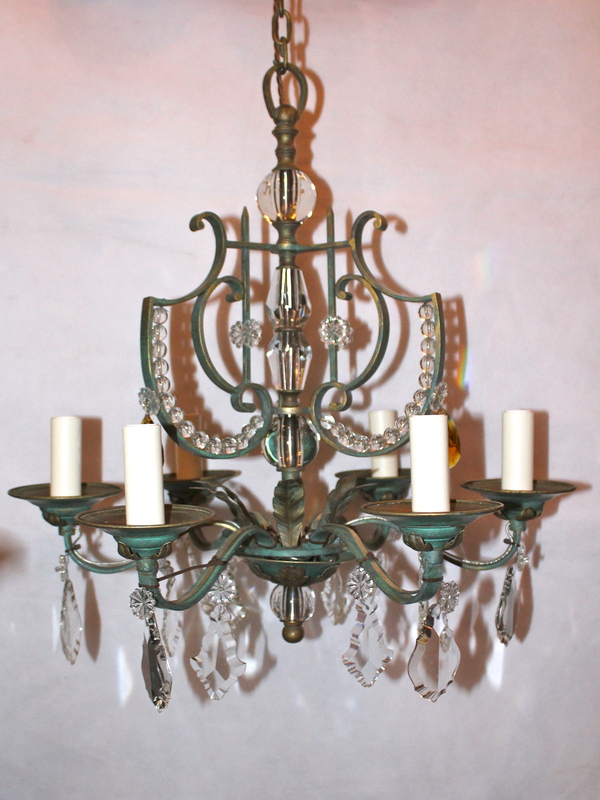 Verdigris and aged brass patina finish. 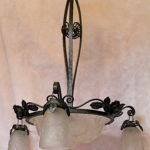 Round crystal beads decorate the top part of the light. 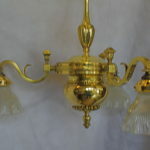 Cut crystal decorates the central stalk. 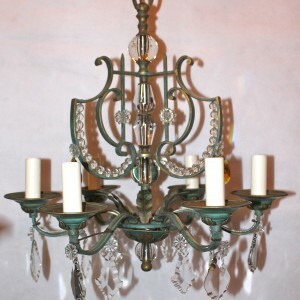 Cut crystal drops hang from each of the 6 arms.